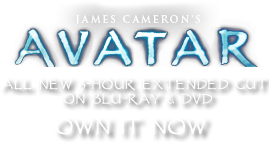 Challenge Weapon | Pandorapedia: The Official Guide to Pandora | Own AVATAR on Blu-ray & DVD Now! Despite the non-lethal design of the weapon, however, the speed and mass of either end is sufficient to fracture a skull, and fatalities in challenge combat are not unknown. Challenges may take place between members of the same clan, or from different clans, depending on the nature of the conflict to be resolved. Often, challenges between leaders of opposing clans will settle a conflict without the necessity for warfare. It is not unknown for a female and male warrior to fight a challenge match, but the male Na’vi’s natural and abiding respect for the female spirit makes this somewhat unusual. Size and Weight Various. Up to 3.7 meters long, roughly twelve kilograms.